Buying a hiking backpack can be a big financial commitment, so picking one that will work for most of your hikes is incredibly important. 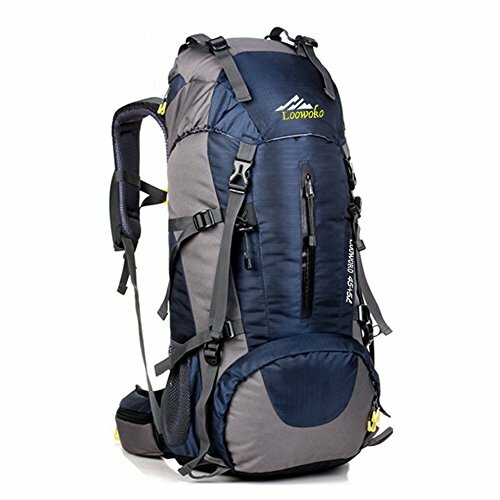 But in choosing the best hiking backpack for you, there are many things that you have to consider. Lets take a look at these. The first consideration in choosing the best hiking backpack is size; backpacking bags are often described in terms of how many liters of storage capacity they possess. Bags less than 40 L will suffice for any day hike and can be suitable for short weekend jaunts. Bags in the 40-70 L range are appropriate for up to five-day backpacking trips. Larger bags with more than that can be used for weeks or months at a time. Keep in mind that if you plan on doing a lot of winter hiking, you’ll likely need to bring more clothing. This will ultimately require extra space. Many bags also come with various attachment points. So even if the storage capacity of your bag is fixed, you can often add a sleeping bag, tent, or fishing pole. More experienced hikers tend to pack less gear, or figure out ways to pack more efficiently. If you’re new to the sport, keep that in mind and don’t buy an oversized bag. 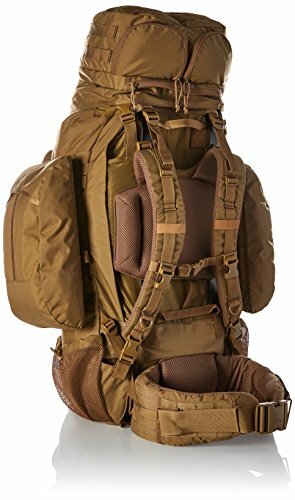 It’s also extremely unfortunate to shell out a lot of money for a great backpack, then feel limited in the types or lengths of trips you can plan because of your gear choice. 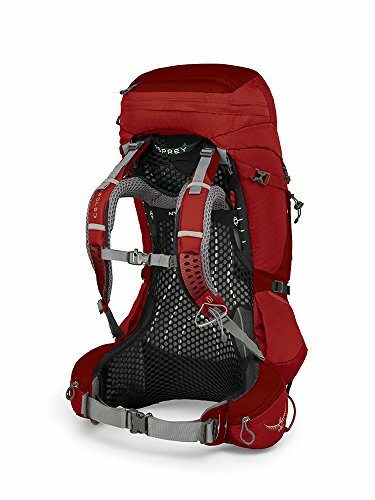 The second major factor when buying the best hiking backpack is fit; if your bag doesn’t fit well and isn’t comfortable, it doesn’t matter how many other features it has. Smaller bags tend to have fewer adjustable straps, since they’re only meant for small loads and short-term use. Medium and larger bags tend to be very adjustable. Even with these adjustment straps, there are still two measurements that are extremely important for fit. These are torso length and waist size. The height of a bag should correspond well with a person’s torso to ensure a good fit. Especially since this can’t be adjusted. Torso length can be measured from the top of the shoulders down to the top of the hips. Generally, small bags fit torsos up to 17 inches, medium bags fit torsos up to 20 inches, and large bags fit torsos up to 24 inches. The hip belt should correspond well with a person’s weight to ensure that the belt can perform its proper function, transferring much of the load to the legs and hips. The hip belt is a simpler measurement, corresponding to a person’s standard waist size. Other features are less vital, but can still be very important to making your hiking experience a great one. 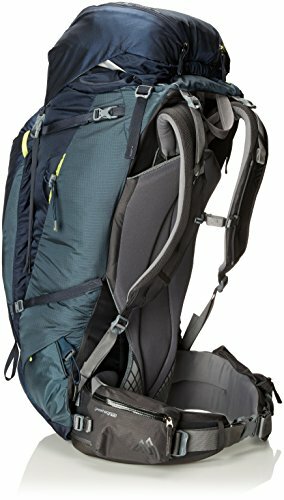 The best hiking backpack should have some if not all of these extra features. Depending on the locations and weather you like to hike in, you may have to prepare for rain and snow; most bags are water resistant, but some also include rain covers to provide additional water proofing for heavy precipitation. Keeping your gear dry can be especially important if you use a sleeping bag made from goose down, since this material doesn’t work well when wet. The number and type of compartments and attachment points can drastically affect a bag’s usability and flexibility. Hip belt pockets are especially useful for quick access. Hydration reservoirs have become quite popular, but not all bags have compartments and ports to provide easy access. Many bags have mesh or vents facing a hiker’s back to increase air circulation and prevent sweat buildup. The Venture Pal Dayback is the smallest bag in this review, with a 35 L of storage capacity. Although small, the Daypack still has plenty of room for anything you would need for a day hike. 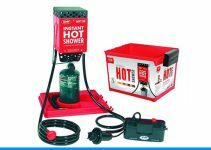 It is also still roomy enough to accommodate the needs of weekend backpackers during any season. The bag is lightweight, adding less than a pound to your load. It can be folded up into a single, easily packable pocket. The bag has been upgraded to improve its durability and comes with a lifetime warranty. There are several downsides to any small bag, and the Venture Pal is no different. First, the Venture Pal has very few compartments and no dedicated hydration reservoir. Although you could pull a hydration tube through the zippers, this could cause the bag to open and spill its contents over the trail. The bag’s side pockets are some consolation. These could be used to hold water bottles, but reservoir-veterans may find this frustrating. Second, while the bag is water resistant, there are multiple zippers and seams that would not stand up to heavy rainfall. Finally, compared to other bags, the Venture Pal lacks attachment points. This would make it difficult to secure external items such as hiking poles or a sleeping bag. 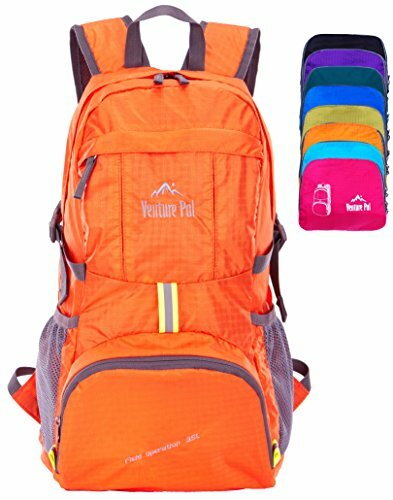 One fun bonus of the Venture Pal Daypack is that there are 11 colors to choose from. Far more options than any of the other backpacks described here. 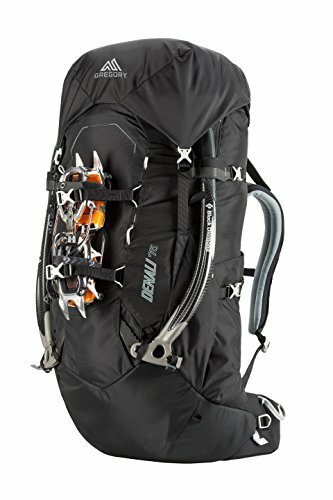 This may be considered a best hiking backpack for day hiking, but not for longer excursions. The Black Diamond Element 45 has a V-lite frame. This makes it the smallest internal-frame backpack in this review and gives it structure. The Element 45 is made with water-resistant nylon and comes with a zippered sleeping bag opening. This adds to the bag’s protection to your sleeping space. Exterior hip belt pockets provide easy access to a map or snacks. A hydration reservoir quenches your thirst, and the open-air mesh back prevents excess sweat buildup. Another bonus is that the top lid converts into a small day pack for side trips. Although its functionality is limited since it’s a small component breakoff of a relatively small backpack. The slight disadvantage of this bag is that it only comes in medium or large, making it a poor option for hikers with smaller figures. The 50 L backpack from Loowoko is made from water-resistant nylon. It also comes with a rain cover to make it essentially waterproof. One consideration is that the rain cover fits the bag well, but may not fit the bag and all the additional gear that you strap to the outside of it. In order to take advantage of the multiple attachment points on the bag, you may need to purchase a larger rain cover in order to maintain its waterproof functionality. As with some other bags, there are no size options for this bag. This makes it an economical option for those with average figures but a nonstarter for those with small or large frames. The Osprey Atmos is a 50 L pack with a zippered sleeping bag compartment and hip belt pockets. It comes in three sizes and colors, making it easy to find a good fit and style. 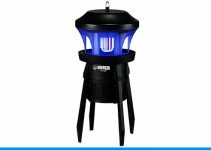 It has a total of seven exterior pockets to store gear and has a mesh suspension system to keep its user’s back well ventilated. The lid is removable, and the bag comes with an integrated cover to protect gear during lidless use. The Granite Gear Blaze AC 60 is a 60 L bag that has been optimized for simplicity and weight. Weighing less than three pounds, this bag is top loading but has no lid, and only has the main compartment and mesh side pockets. Although it doesn’t come with many compartments or hip belt pockets, the Blaze does have multiple attachment points to add gear. It comes in three sizes to ensure a good torso fit and has a swappable hip belt to guarantee a good waist fit. If you’re looking for a simple but durable, and well-fitting bag, the Blaze is a smart choice. The Horn Hunter Backpack is clearly designed for outdoorsman with its two color options of Mossy Oak or APG Realtree. With 60 L of storage capacity, this bag has 27 different pockets and compartments to organize gear, including easy access hip belt pockets. 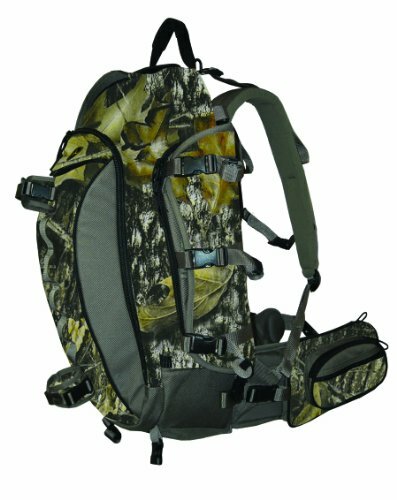 With a hydration reservoir and external attachment points for a bow or rifle, this bag is ready for a hunting trip. 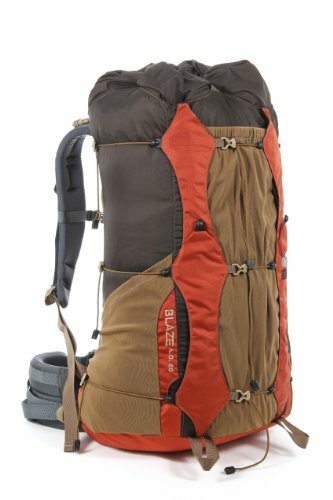 The Gregory Baltoro is a 65 L backpack with great adjustability and features. It comes in multiple sizes for different torso lengths, then goes a step farther by offering tunable lumbar support, pre-curved ergonomic hip belts in multiple sizes, and pre-curved ergonomic shoulder harness straps. With all these different options, Gregory is making sure that the Baltoro will fit anyone who uses it. In addition to its water-resistant material, the Baltoro also comes with a rain cover and has weather-resistant hip belt pockets for digital devices such as smartphones. While many other packs of its size feature a removable top lid as a day pack, the Baltoro has a dedicated reservoir sleeve that can be removed for the same function. Depending on the size of your hydration reservoir and what you like to pack for your side trips, the removable day pack could be perfect, or leave little room for other items beyond the hydration reservoir. With a near guaranteed fit and a lot of notable features, it’s no surprise that the Baltoro received awards from Backpacker Magazine and Outside Magazine in 2015. 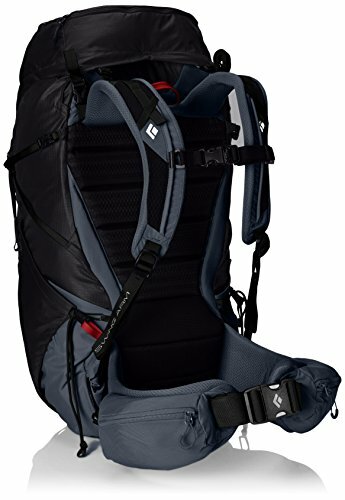 Many people will find this option to be the best hiking backpack for them. 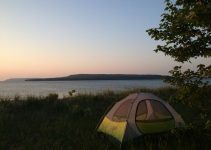 The best features of the AmazonBasics bag are that it comes with a rain fly and has three size options: 55 L, 65 L, or 75 L. The dedicated sleeping bag compartment is a nice addition and it has multiple external straps to add more gear. The biggest downside is that this bag does not come in different torso sizes, meaning that some hikers may have trouble with the fit. Although it has several smaller compartments, this bag does not come with hip strap pockets, which are useful for storing quick-access items. The Gregory Denali is a whopping 100 L. This makes it suitable for long expeditions and hikes that require a lot of extra gear, such as mountaineering. This bag comes with excellent features including a hydration reservoir and a detachable top lid that can function as a day pack. There are also color-coded buckles to help you repack quickly. As with most large bags, the Denali has multiple expanding compartments. These allow the user to customize the bag’s size, but where this bag really shines is in its mountaineering functionality. The Denali has adjustable ice ax loops and an impressively functional hip belt with an ice clipper slot and sled pull attachment. It also has an easily accessible avalanche safety pocket. This bag is clearly an excellent choice for those who expect to be exploring snowy mountains. In fact, it may be the best hiking backpack in our list for these conditions. It comes in multiple sizes to fit any size torso. Minor downsides include a single color choice and a weight of nearly seven pounds. The Kelty Eagle 7580 is simply huge, with a storage capacity of almost 130 L. Its key purpose is to allow a hiker to convert him or herself into a packhorse, with multiple removable side pockets to pack more gear. In addition to a sleeping bag compartment there are two hydration sleeves and ports to keep you hydrated. Instead of a removable day pack, the top lid converts into a fanny pack. Unfortunately, the bag lacks hip belt pockets for quick access and the fanny pack cannot be worn comfortably while also wearing the bag. 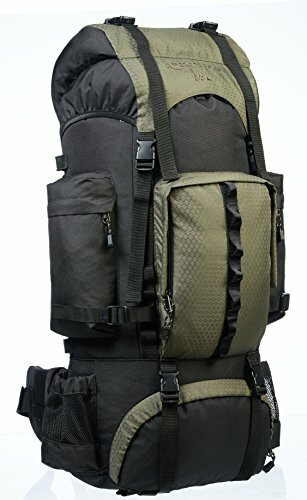 One unique feature is that this bag has quick release shoulder straps, which could be useful in situations where fast disengagement is required. Although the torso range should fit most users, there are no options, which could cause fitting issues.